In his speech, the official lauded the significance of the 15th CABIS and CAEXPO which are in coincidence with the 15th anniversary of the ASEAN-China strategic partnership. He said through annual editions, the events have contributed to boosting the ties’ expansion across sectors. The deputy PM highlighted Vietnam’s determination to become a long-term investment destination of foreign businesses, including those from ASEAN member states and China. Vietnam welcomes and creates favorable conditions for ASEAN and Chinese enterprises to invest and do business in the country, he stressed. 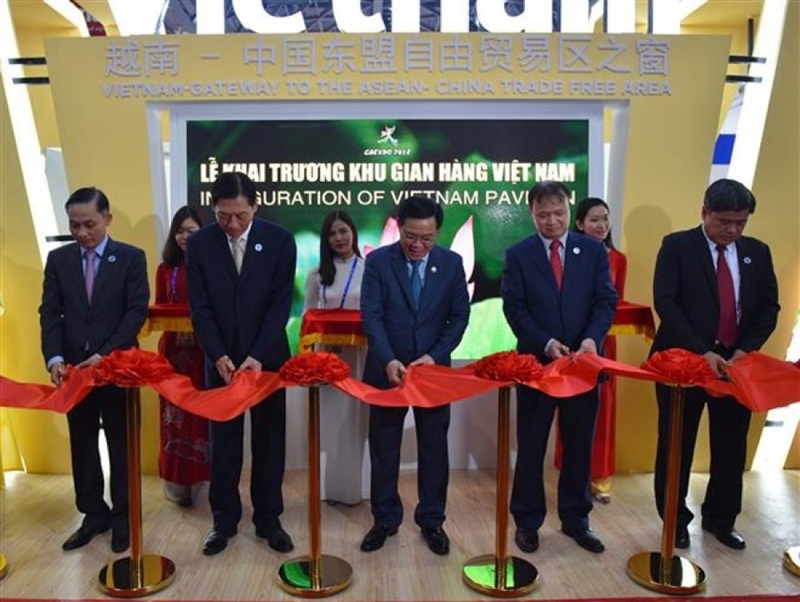 Vietnam is running over 250 stalls at the ongoing CABIS and CAEXPO, the highest number among member states of ASEAN. Speaking at the opening ceremony, Chinese Vice Premier Han Zheng reviewed past collaboration between the bloc and China. He affirmed that China values ties with ASEAN and supports ASEAN’s central role in tackling regional issues. The official put forth a number of policies and cooperation orientations to lay a strong basis for the partnership to grow, particularly in economy-trade, production capacity, resources connectivity, and humanity exchange, in contribution to peace, stability, and prosperity in the region. The same day, Deputy PM Hue received deputy governor of Jiangxi province Wu Zhongqiong, during which he praised progress made in the collaboration between Vietnamese and Chinese localities, including Jiangxi. He said the exchange among localities is a key factor that drives Vietnam – China friendship and compressive cooperation toward practical and effective outcomes. Hue suggested Jiangxi import more Vietnamese farm produce, and encourage local firms with strengths in capital, technologies and environment solutions, to invest in Vietnam. Boosting people-to-people and tourism exchanges is also recommended, Hue said. Wu Zhongqiong, for his part, pledged to facilitate local businesses’ investment and operation in Vietnam, thus promoting Jiangxi’s collaboration with Vietnamese localities. During his time in China to attend the CABIS and CAEXPO, Hue also received leaders of Huawei Technologies Co., Ltd and China Pacific Construction Group. Deputy Prime Minister and Foreign Minister Pham Binh Minh received Tang Liangzhi, Mayor of Chongqing province (China), in Ha Noi on August 31.